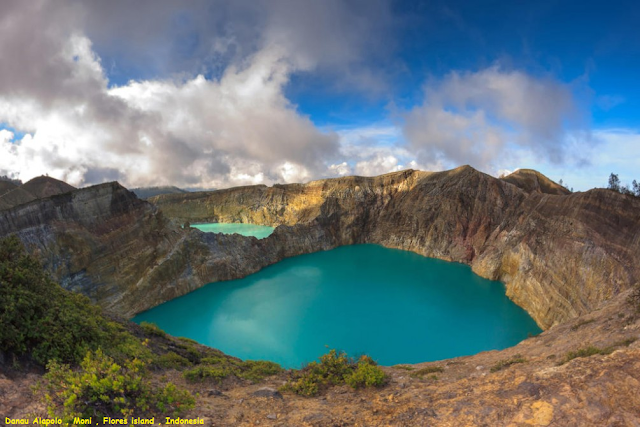 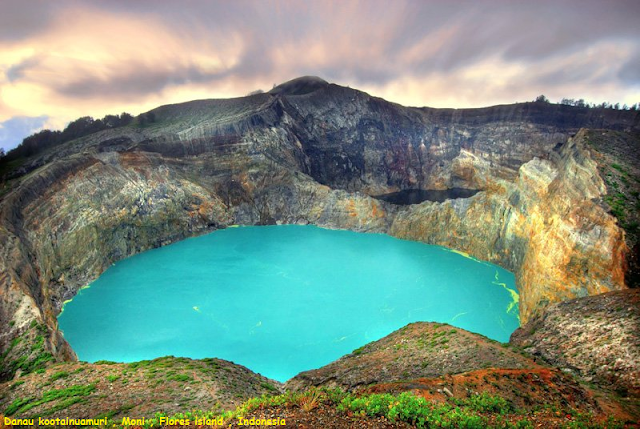 Kelimutu is a volcano, close to the small town of Moni in central Flores island in Indonesia. The volcano is around 50 km to the east of Ende, Indonesia, the capital of Ende regency in East Nusa Tenggara province.The mountain has three volcanic crater lakes that differ in color . There are relatively few volcanic lakes worldwide, but there do exist physical and chemical volcanic lake classification systems to guide the understanding of how these lakes function. 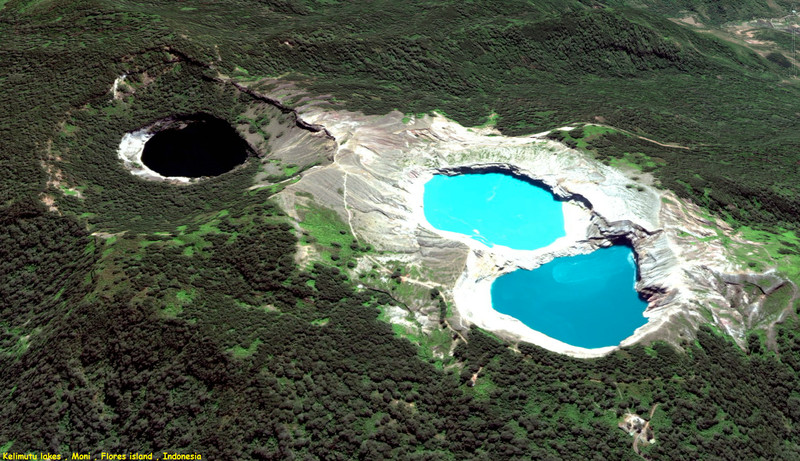 Lake colors periodically change due to adjustments in the oxidation-reduction status of the fluid of each lake, and also considering the abundance of different major elements, such as iron and manganese.